Love, Shaleya...: My week in photos! Last week was a mix of busy and crazy! At the start of the week Luka and I had a small catch up with the women from our antenatal classes and their new babies. 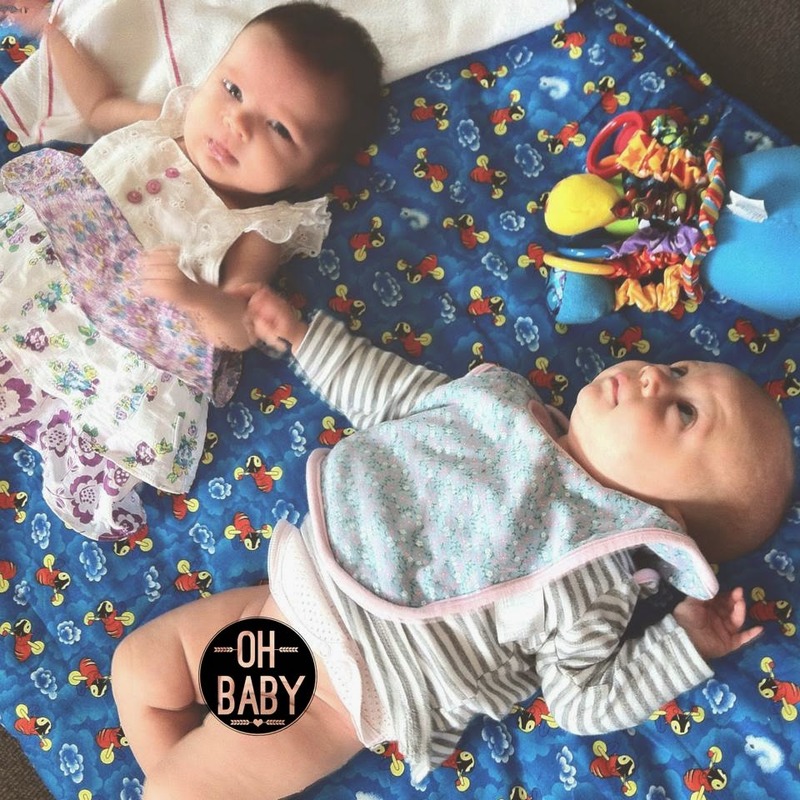 It was a lot of fun and great to talk to each other about our birthing and parenting experiences plus get the kids socialising which I think was more beneficial for Luka and melody as they were the oldest ones. Luka having a bit of 'nappy free' time. She loves being naked, I'm sure she'll be one of those babies that love to streak! We'll be catching up again in a few weeks to go to a special 'mums with bubs' movie session. You can take you're baby with you into a movie and not have to worry about them screaming, win win right there! The next day I took Luka to a local pre school that's literally around the corner from where I live. Due to her getting bored quite easily and being very hyperactive I finally decided to take a walk up to the pre school and get the 101 on the place. So far I'm impressed! It's very education, tidy, clean, hygienic, lovely hands on staff and plenty of constructive stimulation for the kids! Luka was so me mesmerised by everything that she fell asleep very quickly after spending an hour there. I'm still having a look around though, and I still haven't gotten Luka back on the bottle yet, so I'm giving myself a month or two to get this underway. I think this will be very beneficial for Luka, she needs stimulation and more social activity, I think more than anything she CRAVES it! One of my fave shots of her this week. She's so beautiful! By the middle of the week everything calmed down and was cruisy. Friday night my mum and I went Easter egg shopping! The department store we went to, The Warehouse, was packed! Luka didn't know where to look, and that tired her out so she had a little nap in the baby seat on out trolley while mum and I had a browse. Saturday was a quick trip out with Andrei and finally Sunday was Easter! Unfortunately Luka didn't get any chocolate this year but she will next time. I want to be quite strict with what she consumes in her first year as it's the most vital year for her growth so I want no processed foods to be consumed. I think it's fair and she gets a good wholesome diet and a good view on food, hopefully. But anyway I managed to get some cute snaps of her with an Easter egg with the help of Andrei distracting her and getting some of her beautiful smiles! Hope you had a great week everyone and happy resurrection of our saviour Jesus Christ!